The Vintage Frames Company continues the Vintage Frames Community Project, a thirty day love-in, where we get interviews with designers, collectors, musicians, and the like about their favorite frames. 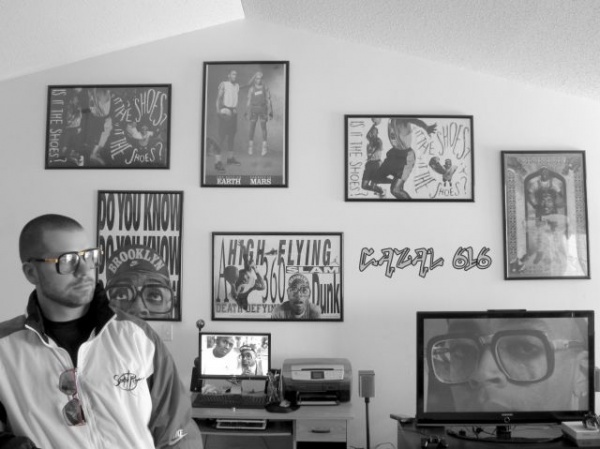 Today, Troy Loferski, hip-hop historian and frame geek. My earliest memory was back in the late 80s and early 90s when my brother was rockin his original Oakley Frogskins and Oakley Blades. Some of my friends had the frogskins in the early 90s too but I never understood the hype back then. This entry was posted in Accessories, Eyeglasses, Feature, Sunglasses, Vintage and tagged Troy Loferski, Vintage Frames, Vintage Frames Community Project, Vintage Frames Company. Bookmark the permalink. hah, cool project — interesting to see the thought that goes into one’s frames.